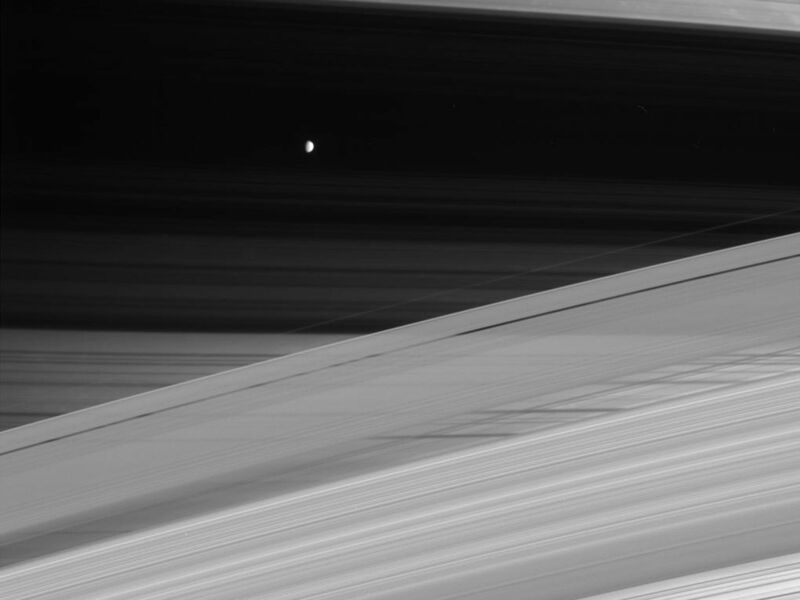 This spectacular and disorienting maze of lines is a Cassini portrait of the gas giant Saturn, its rings and its small, icy moon Mimas. The rings cast dark shadows across Saturn's northern hemisphere, creating a photonegative effect: dark sections are dense and block the Sun, while bright sections are less dense areas or gaps in the rings, which are more transparent to sunlight. 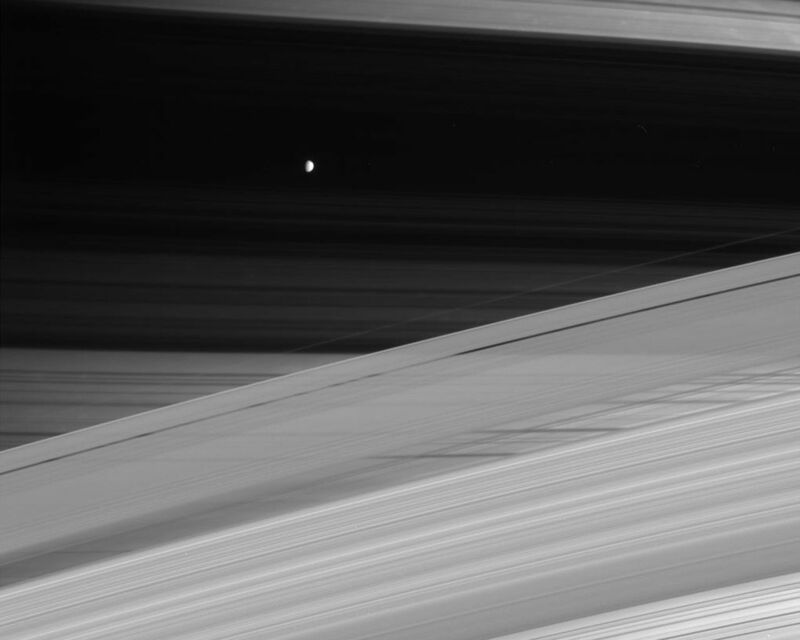 Saturn's moon Mimas (397 kilometers, or 247 miles across) is seen here against the backdrop created by the shadow of the dense B ring. 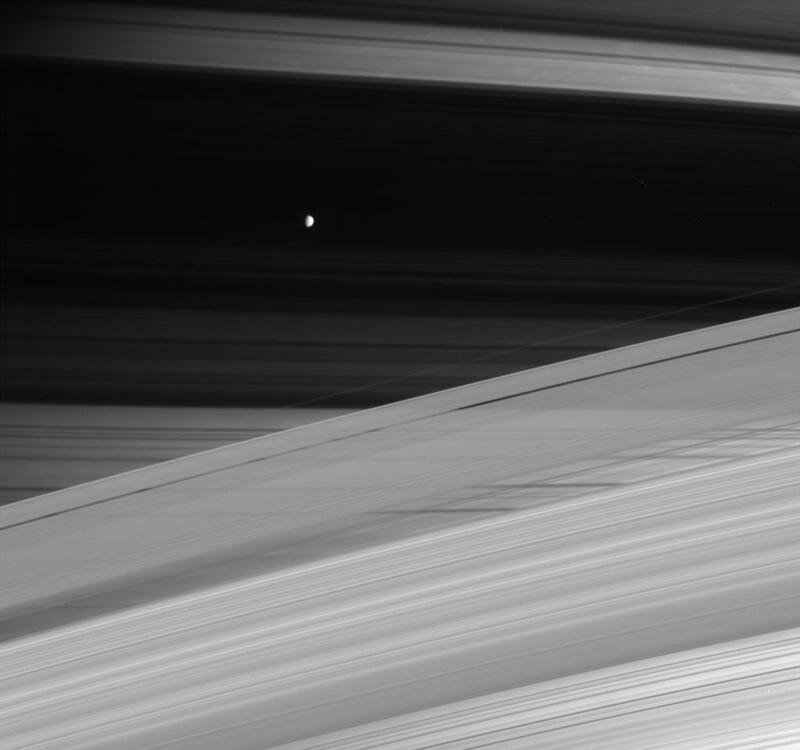 Above Mimas and the B ring shadow can be seen the broad gap of the Cassini Division. The actual Cassini Division, which divides the A and B rings, is visible about one-third of the way up from the bottom of the image. This view was obtained in visible light with the Cassini spacecraft narrow-angle camera on Oct. 15, 2004, at a distance of approximately 4.7 million kilometers (2.9 million miles) from Saturn. The image scale is 28 kilometers (17 miles) per pixel. 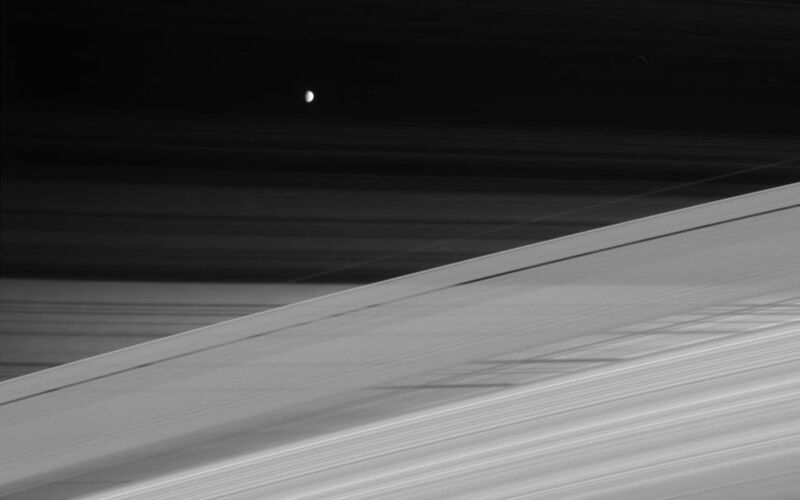 This image was taken from beneath the plane of Saturn's rings. It is similar to the serene portrait provided by Cassini in a natural color view from November, 2004 (see PIA06142).